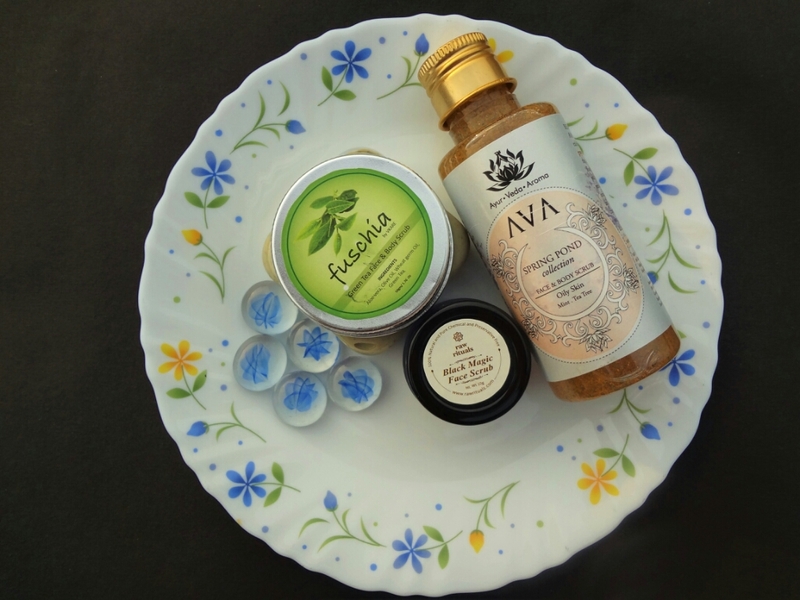 Guest post by Bhawna D.
So without further delay, let’s dive in for what works well on an oily skin! 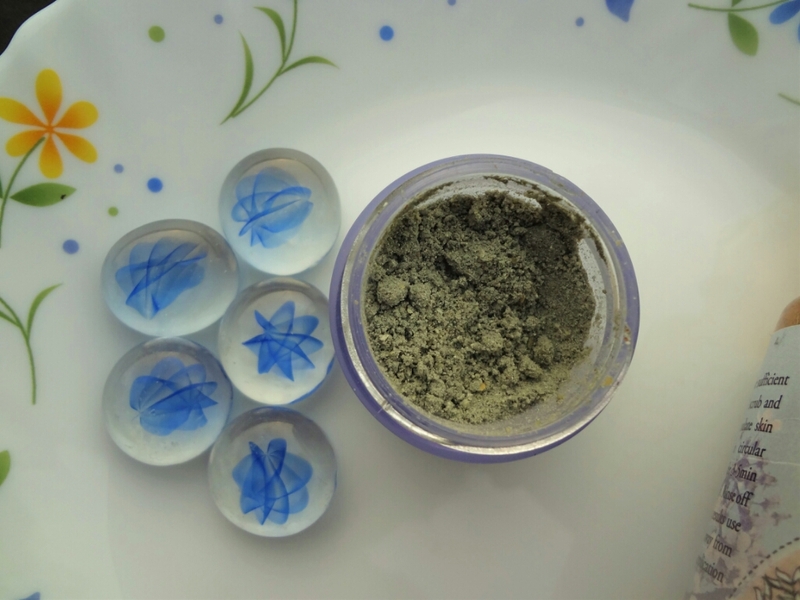 Ingredients: French Green Clay, Activated Charcoal, Grinded Whole Wheat Oats, Grinded Almonds, Rice Flour, Wheatgrass Powder, Turmeric Powder, Zeolite Clay, Jojoba Oil, Evening Primrose Oil, Essential Oils of Turmeric & Peppermint. 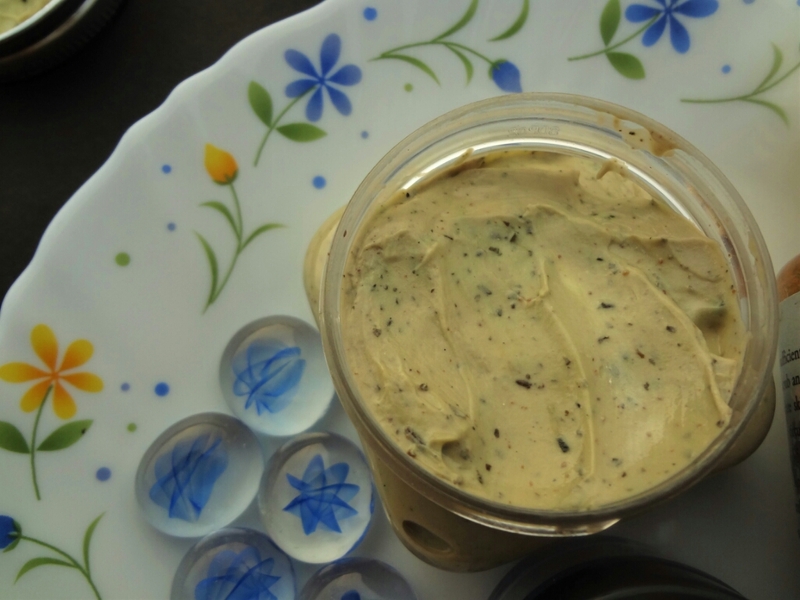 Experience - The thing that paved way to my heart was the fact that this scrub comes in a powdered form; hence easy to customize as per your skin type. If you have dry skin, all you need is some milk and then scrub the impurities away. But since this post is dedicated to ladies of my kind, with oily skin, all you gotta do is add in few drops to moisten your fingers and rub it in circular motions onto your face. The granules might feel slightly coarse in case you have acne bumps. They reduce in size as you proceed with the scrubbing process. It has a medicinal smell which I fail to recognize and it ain’t too mild either. Or is it my extra long nose that managed to inhale fragrance of rice from a floor below while coming back from school! *LOL* You would feel an immediate cooling sensation as well because of peppermint. The best part, it manages to make your pores gunk free and you are left with a perfect matte face but not stretchy or dry. Experience - I received this scrub in my September Fab Bag and though I had least expectations out of it; miraculously, I fell in love with this one! The fragrance of this scrub is citrusy, reminding me of lemongrass. The texture of this scrub is thick and I love the fact that instead of a cream base, it has a gel base, which makes it appropriate for the oily skin type. The granules are extremely minute, making it perfect for acne prone skin. It gives mild exfoliation and brightens up the face post scrubbing. It removes excess oil, leaving the skin soft to touch. Also, this one too gives off a cooling sensation due to mint added into its concoction. This scrub smells exotically sweet and though the base remains to be that of a cream, this cream is kinda lightweight. 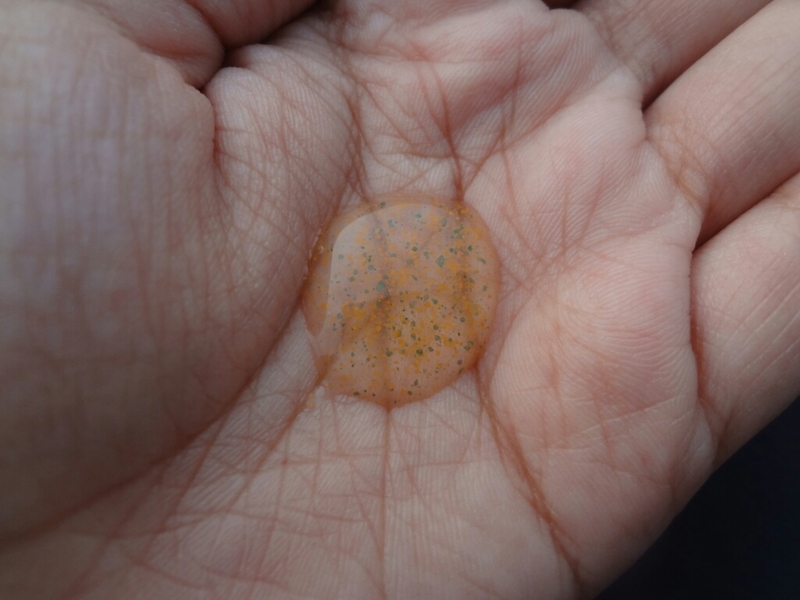 It has fine scrubbing elements which gives mild exfoliation. It would be super friendly with people who have combination to oily skin type. After the wash, this does not leave off the skin, instead provides little hydration. Like a two in one product, after this you may skip upon an additional layer of moisturizer. The aloe vera within, helps in soothing up acne/pimples and the granules do not irritate them. PS - all these have natural ingredients. So double party! Which scrub is your favourite? Comment down below. Bhawna, a coffee lover, is the editor and owner of Think It Over blog. She is doing her post graduation in Literature and is an aspiring poet and writer. When her poetic side takes over, she ends up writing rhyme verses on her blog.